We flew in to Miami and after two night there, we hoped in our rental car and took a short (3.5 hour) drive to Key West. Key West was always on my bucket list and I was excited to finally get to explore it. 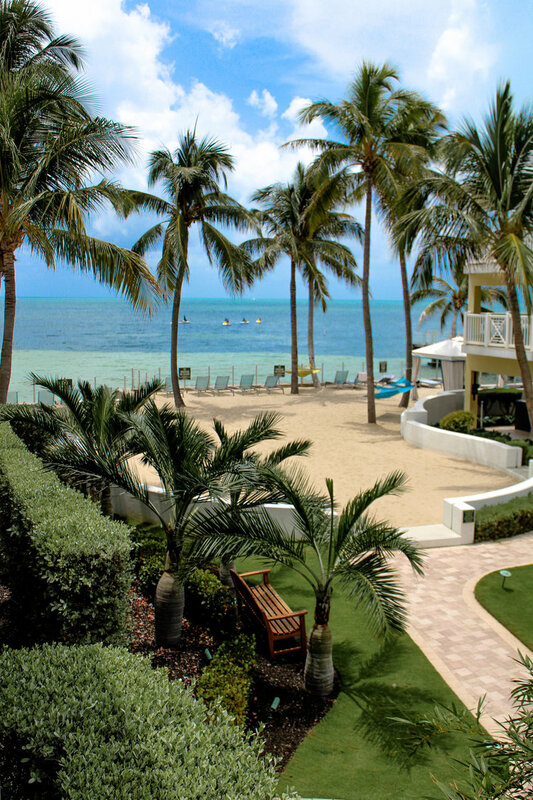 Stay tuned for a Key West travel guide, coming to the blog later in the week. 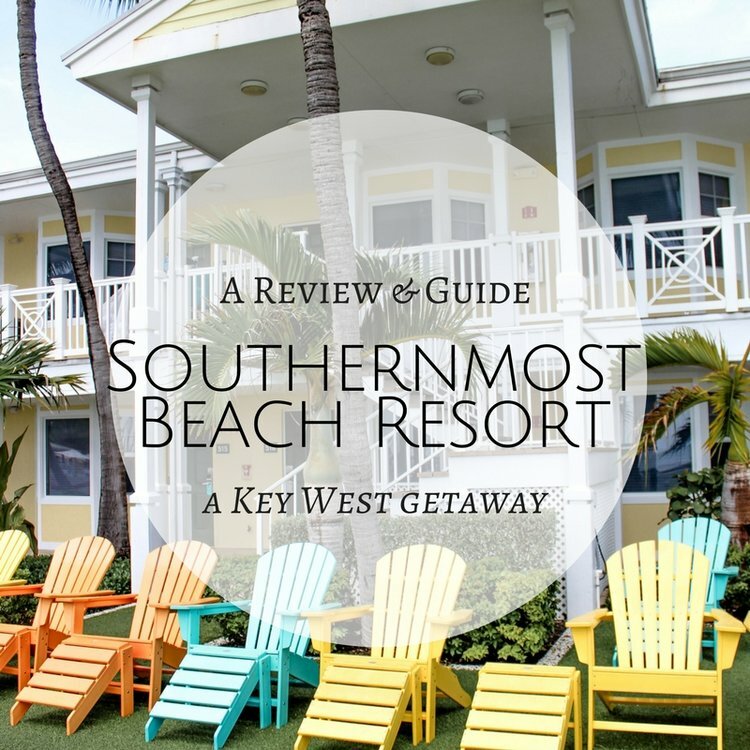 Nestled at the quiet end of Key West, the "southernmost" tip is this luxurious beach side resort - Southernmost Beach Resort. 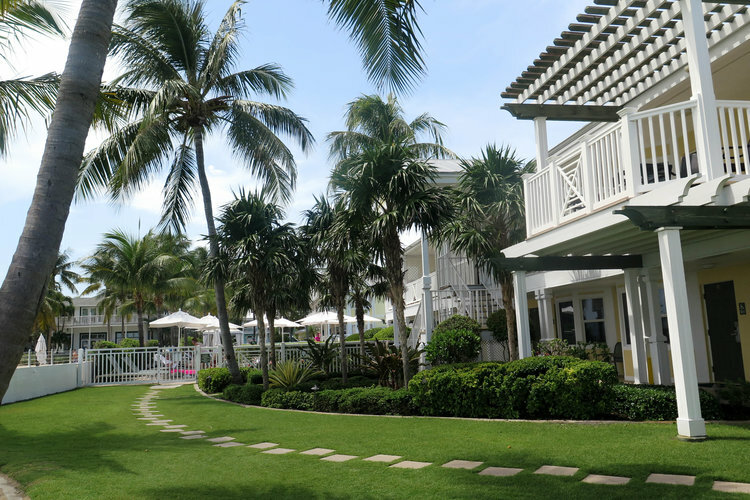 This resort expands over 3 acres of land , with several buildings. With such a big property, you'll be sure to find lots to do. Grab a drink at one of the bars, take a dip in one of the three pools, enjoy a meal at one of restaurants or take part in an activity. Upon our arrival we were welcomed by the friendly and attentive staff for a quick and easy check in. We then made out way to our "partial ocean view" room. 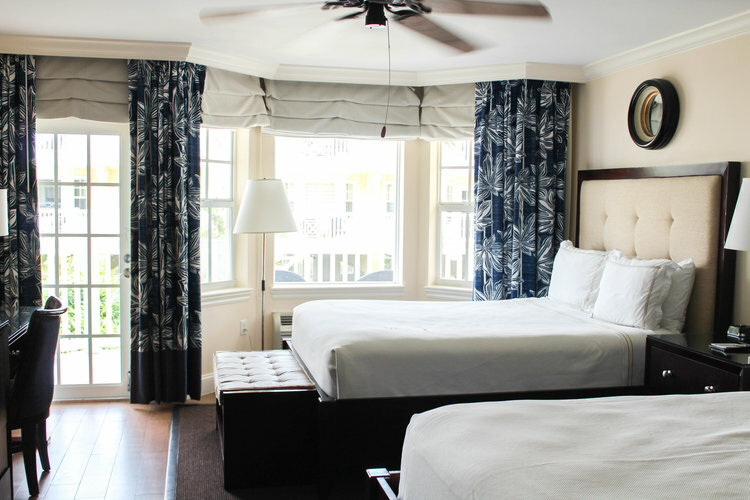 This room offers gorgeous views of the ocean from your own little balcony. The room was spacious with lots of storage, a closet, big shower and my favorite, a balcony. The balcony is where I enjoyed my mornings listening to the sounds of the ocean and seagulls, it was so relaxing. 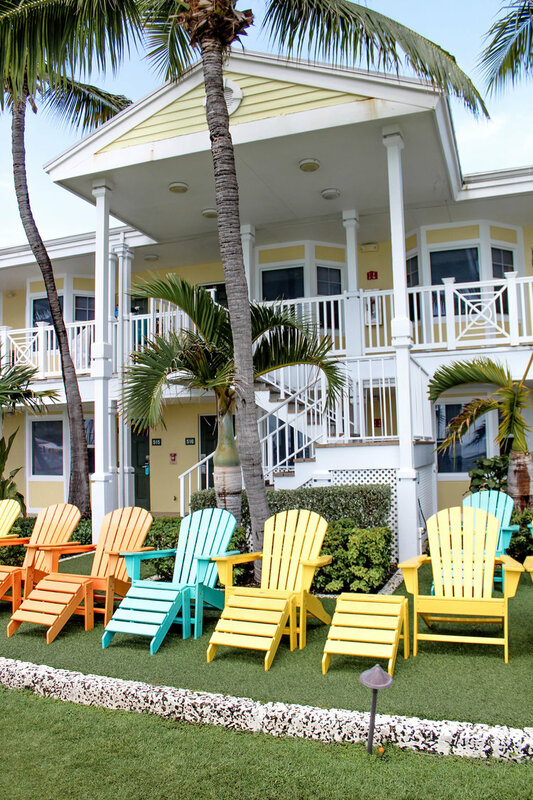 The resort had so much to offer, from a private beach lined with colorful hammocks to entertaining games like corn hole, wall hook, foosball, ping ball and board games. 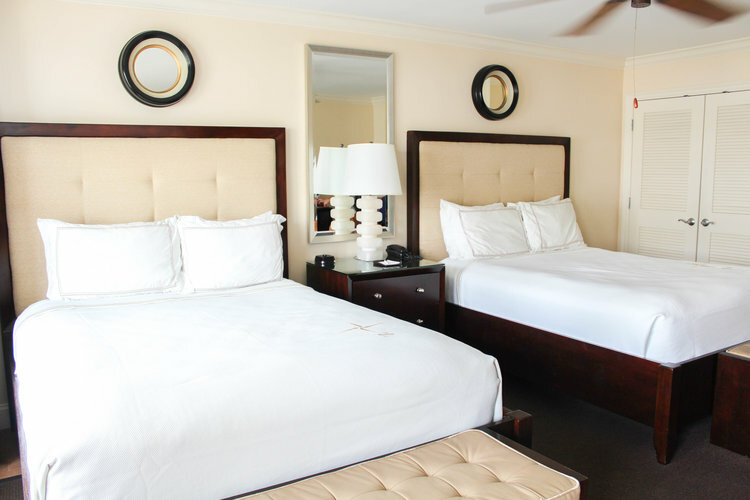 The perfect place for families to vacation, couples looking to have a good time or girls planning a fun weekend away. We got to enjoy the best of both some couple time and family time. 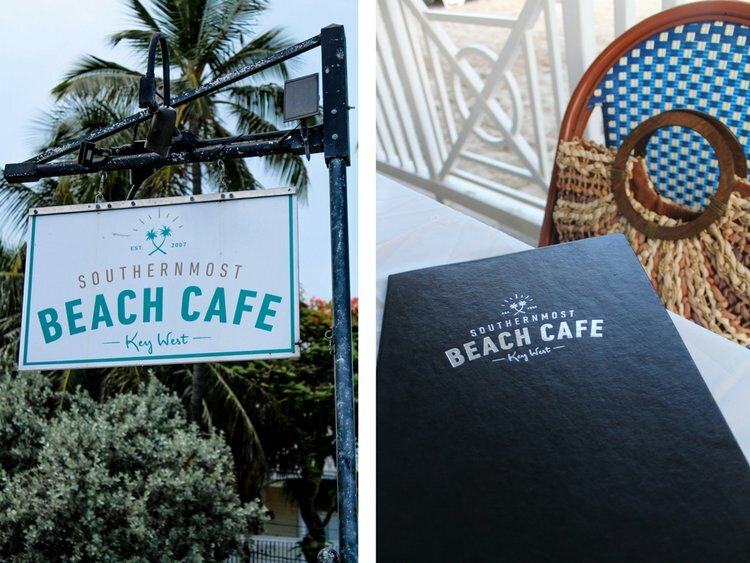 On our first night, we got to enjoy a delicious dinner at the Southernmost Beach Cafe, the hotels restaurant. Not only was this a cute and laid back restaurant, it was also beach side. 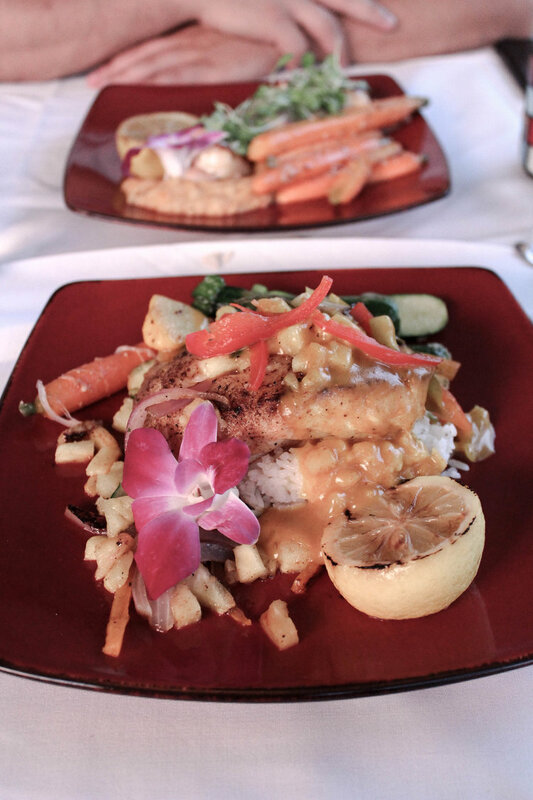 I mean is there anything better than eating delicious caribbean cuisine and enjoying tropical drinks oceanside while the sun goes down!? 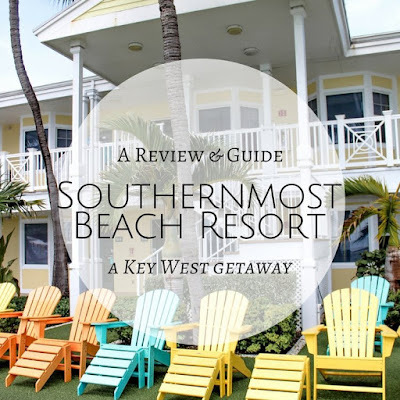 This place was heaven on earth and we really enjoyed our time here I loved Key West so much and can't wait to come back and visit the Southernmost Resort again! 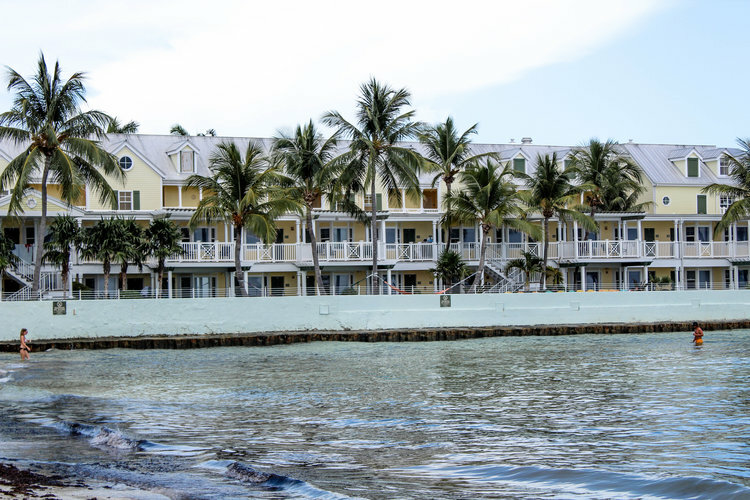 If you are planning to travel to Key West I highly recommend staying here, you'll be sure to fall in love with the views, the food and the drinks. 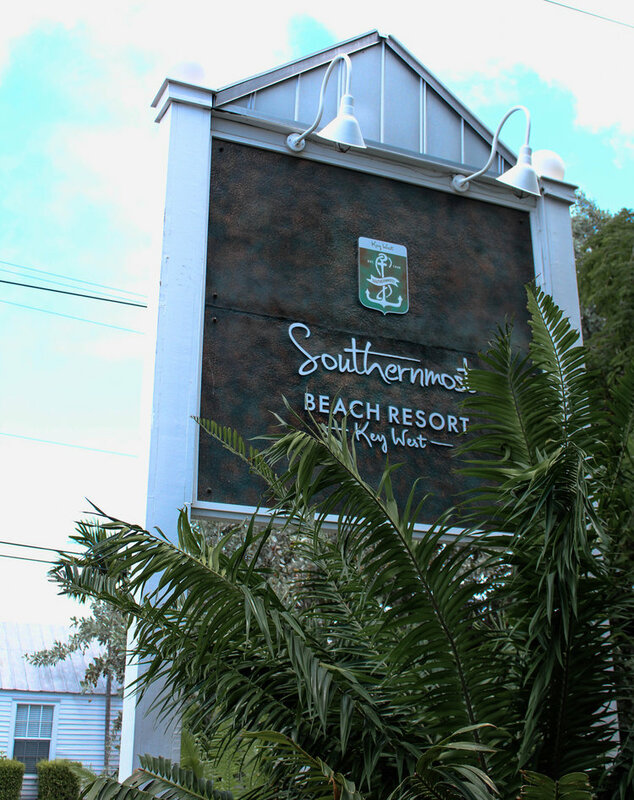 * Disclaimer: I was welcomed as a guest at Southernmost Beach Resort. All our opinions are honest and my own. Currently back from vacation and I completely forgot to throw this blog post up. Probably because I had so much on my mind while we were away and I this just sat in my drafts so here it is! I wanted to make sure that I shared this look with you all because this top is currently on sale and there are only a few sizes left. However, if you don't find your size in this exact top, there is a top that I found for you that is similar to the one pictured above, click here. As you may have noticed, I love to be in shorts and tops during the summer! I pick denim over dresses any day. Some how all of my tops are white too, I guys I have a type. I think a part of me just likes to add excitement to each look with fun accessories, like this adorable mini fringe bucket bag by Duex Lux. I'm keeping this post, short and sweet because I've got a lot to work on now that we are back, so stayed tuned for some new and fun content coming your way! Hello and welcome back It's the start of a new week and the last week before we head away on vacation! I'm literally counting the days before we take off for Miami and road trip down to Key West. I'm in serious need of some sun and sand, you best believe I will be poolside, drink in hand, all week long! The last few weeks I've been shopping for our vacation and I can't wait to share all of my looks with you all! There have been a ton of end of the season sales so I made out pretty good for out getaway! Make sure you follow along on Instagram starting Sunday to see me on my travels. So this look I styled here is seriously so effortless and just how I like to be in the summer, besides denim and a white tee of course! 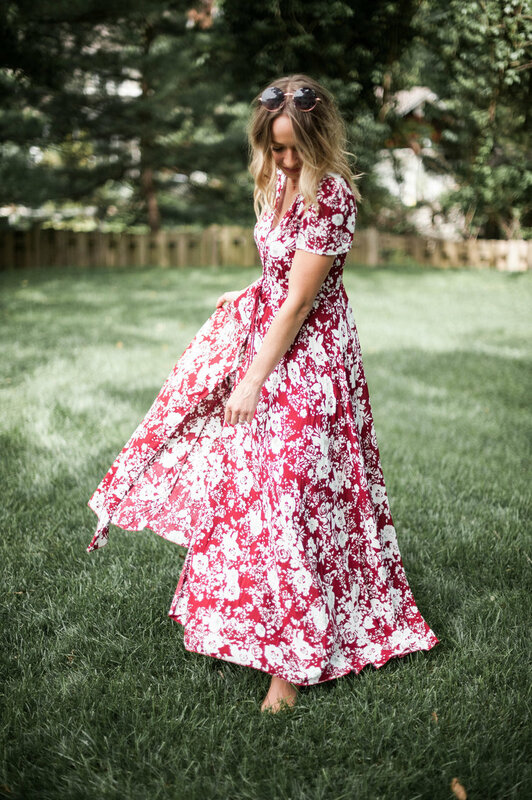 If I could run around everyday barefoot in a floral maxi dress, I would. This is exactly what summer is about, being wild and free! I saw this dress a few months back and new I had to have it the best part is the price, you guys, it's under $35! I've linked both my dress and sunnies for you to shop, you can just click the images below. I hope you all have a wonderful week! The biggest sale of the season is finally here! This time every year Nordstrom has its very hyped up anniversary sale. Today is early access for card holders, which lasts a week and than July 21st it opens up to everyone, it will then run through August 6th. The anniversary sale is all of the fall styles just hitting the store but they are up to 40% off. This fall you can see a lot of neutrals, stone colors, beige and of course black which I am excited to incorporate more of! Textures will be big this season as well, Chunky sweaters, leathers and suede - I say yes to all of them! We've been seeing a lot of fun twists on tops in the last year and that isn't going anywhere, cold shoulders and tie and lace up details are here to stay. 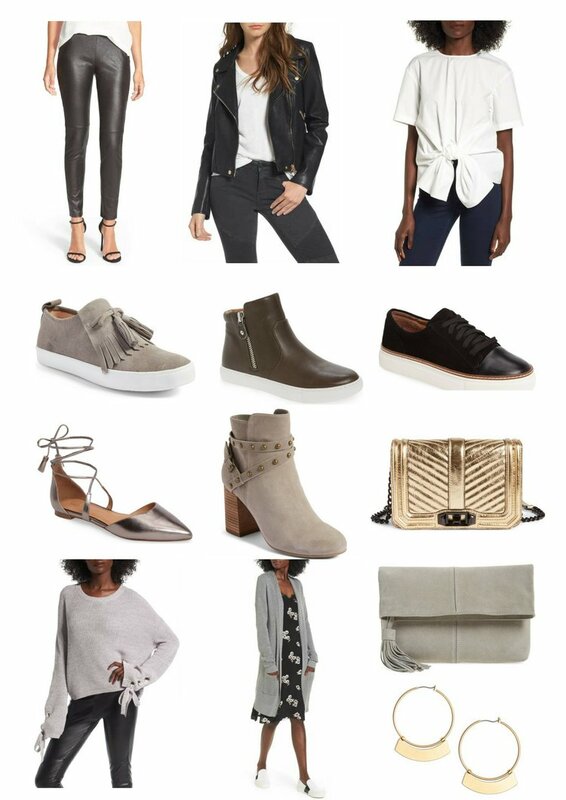 I've rounded up some of my favorite finds for you to shop and if you are a Nordstrom card holder you can start buying today. If not, come back July 21st to shop these finds! Hello loves! Finally I'm sharing with you all the dress has that has been on constant repeat since I've bought it. The cutest floral smocked dress I ever did see. It's funny because I literally spent last summer in dresses and this year with the exception of a few new addition to my wardrobe I haven't really been wearing dresses. When I saw this dress hanging on the hanger I knew I had to try it on. Fun fact about me.. (well not really sure if it's a FUN fact..) I enjoy shopping at the mall as opposed to online shopping. I am also the type of shopper that tries everything on before I buy it. I tried this dress on and instantly fell in love. It's so flattering, I love the ruching and sleeve details, which bring this dress from everyday smock dress to a dress that can be worn to a babyshower, bridal shower or brunch. I kept it simple with my favorite wedges and a pop of white pom pom earrings oh and I can't forget my favorite pink bucket bag. I linked all of the look for you to shop below. Wishing you all a great rest of the week!